Not everyone can hang with the console cowboys in cyberspace; some of us can merely gaze in wonder and astonishment at what keyboard wizards accomplish in Zachtronics games. But if you’re not a kewl enough d00d to hack and program in Exapunks, the latest Zachlike, you can now at least play people’s created in-game games for free. 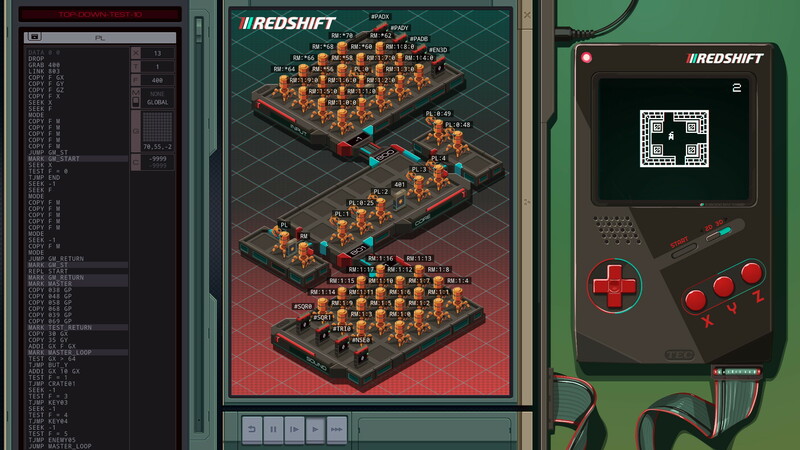 Zachtronics last night released the TEC Redshift Player, a free standalone simulation of Exapunk’s fictional in-game handheld console. And the way to play Redshift games is cute: you download pictures of cartridges (which magically contain the data) then drag ’em in into the deck.